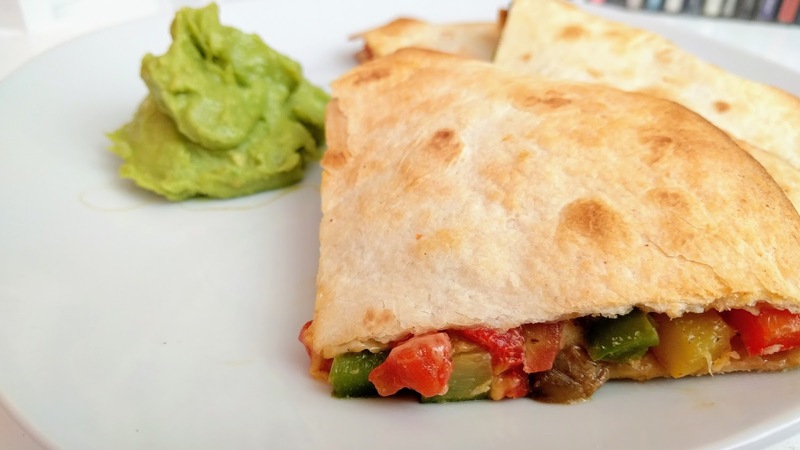 Veggie quesadillas are a great way to use up whatever iffy vegetables you have on hand! 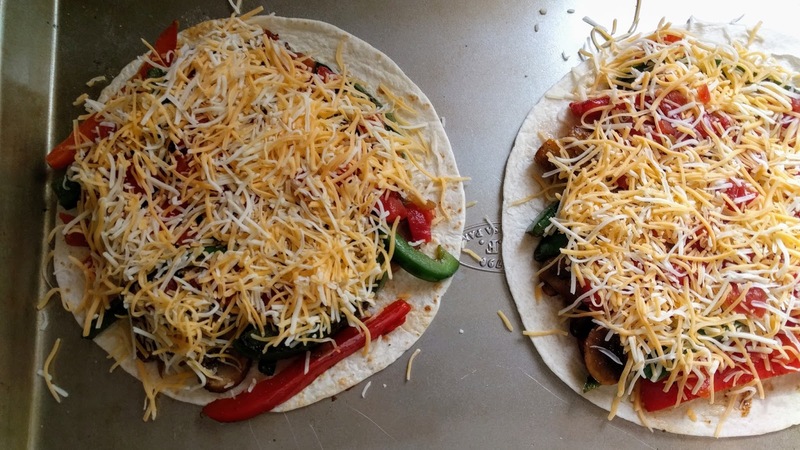 As long as you have tortillas, cheese, and spices then the rest comes together pretty easily. Because I'm both lazy and impatient, I like to bake my quesadillas on a sheet pan (rather than one at a time in a skillet on the stove) so they're all ready to eat at the same time! 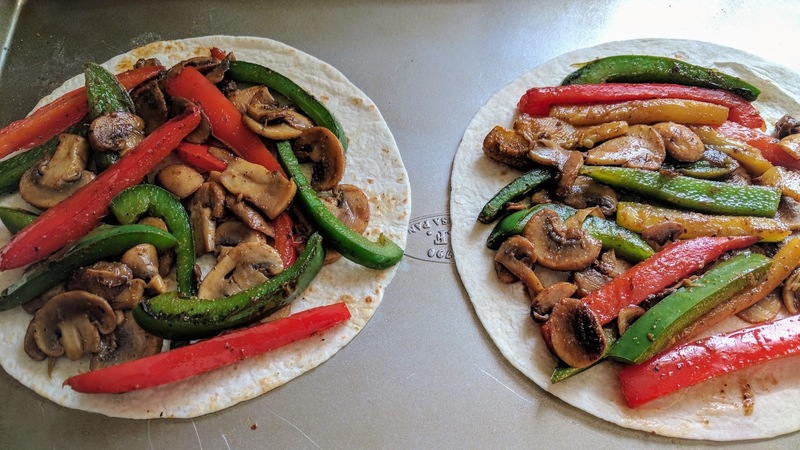 I used a mix of leftover veggie tray produce in these quesadillas -- red and green bell peppers, summer squash, zucchini, and mushrooms -- but any vegetables you like would work well. For example, when corn is in season, I've made these with leftover roasted corn on the cob, zucchini, onions, and black beans. Because healthy eating is supposed to be the name of the game, I used Mission Carb Balance tortillas which have 19 grams of fiber per tortilla, but still taste exactly like regular flour tortillas. Some day, I'll get The Husband to eat multigrain tortillas, but for right now ... needs must. Anyway, these quesadillas go together in a flash. The most time-consuming part is pre-cooking the vegetables and you could probably skip that if you prefer more crunch! Just stir-fry the vegetables over high heat in a nonstick skillet with a splash of low-sodium vegetable (or chicken) broth until the mushrooms brown and the peppers start to blister. Then remove from heat and season with whatever Mexican or Southwestern seasoning blend you have on hand (I used Penzey's salt-free Arizona Dreaming). Then spritz one side of two tortillas with cooking spray (or brush them with a little olive oil). Place lubricated side down on an ungreased baking sheet. Top each tortilla with the vegetables. Add the tomatoes. I used a 10 oz can of Aldi's Casa Mamita house brand diced tomatoes with green chilies, because they're pleasantly zippy and much more of a petite cut, making them perfect for dishes where you want the tomato to blend in. I saved the remainder of the can to use later in with week in taco pizza. And now for the delicious cheeses! I used part of a bag of Cabot's Mexican shredded cheese blend leftover from who-knows-when, but any shredded cheese you like is good. While we tend to have more cheddar than anything else on hand, I can tell you Colby-Jack and Pepper Jack work well. Top everything with another tortilla. Spritz that tortilla with cooking spray and then pop the pan in the 450°F oven for 10 minutes or until the quesadillas look golden brown on top and a little dark around the edges. And then gobble down the hot, cheesy, messiness and go shovel some more &#%!@?! snow. 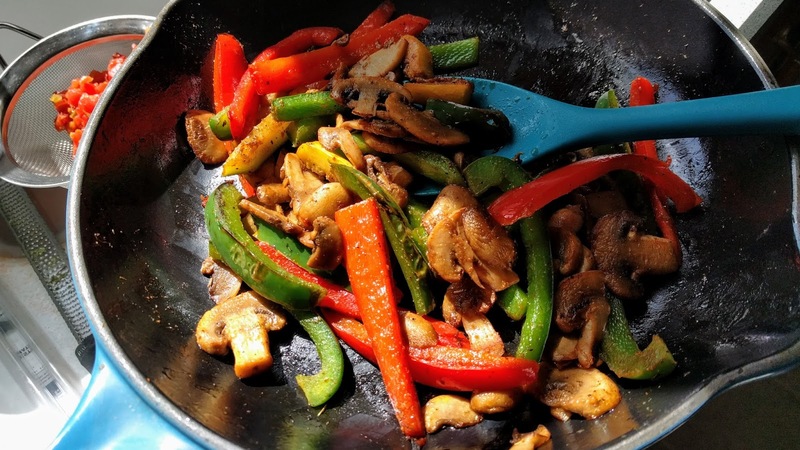 Stir-fry vegetables in a nonstick skillet with broth over high heat until the vegetables look blistered and mushrooms are brow. Remove from heat and season. Spritz one side of two tortillas with cooking spray. Place spritzed side down on an ungreased baking sheet. 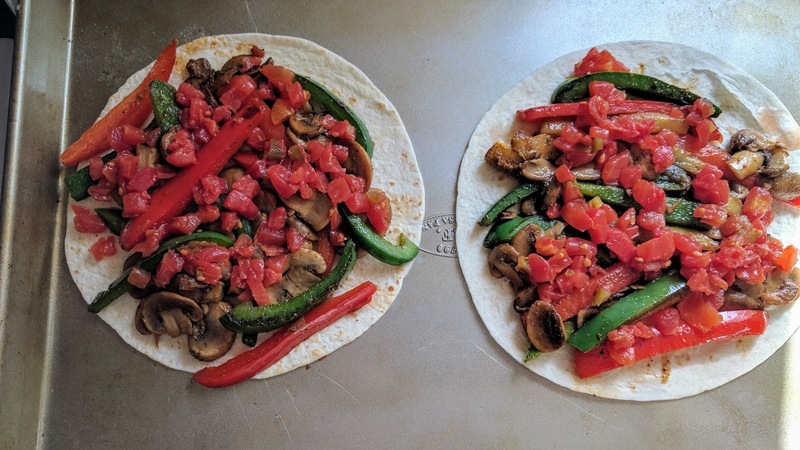 Top each tortilla with vegetables, tomatoes, and cheese. Cover with remaining tortillas and spritz tops with cooking spray. Bake at 450° for 10 minutes or until tortillas are golden brown. Cut into wedges. Serve with guacamole, if desired. 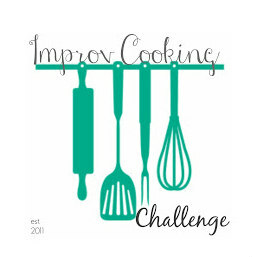 I was really excited about March's Improv Cooking Challenge ingredients -- potatoes and chives -- because we'd been having such a mild winter that the chive plants in my sheltered back bed never properly died back and I've had fresh chives on hand all winter! Or ... most of the winter. As soon as I made this potato salad, dark clouds massed on the horizon and BLAM! a foot of snow buried everything. Happily, chive plants are hardy as weeds and I'll be knee-deep in chives in another month or so. 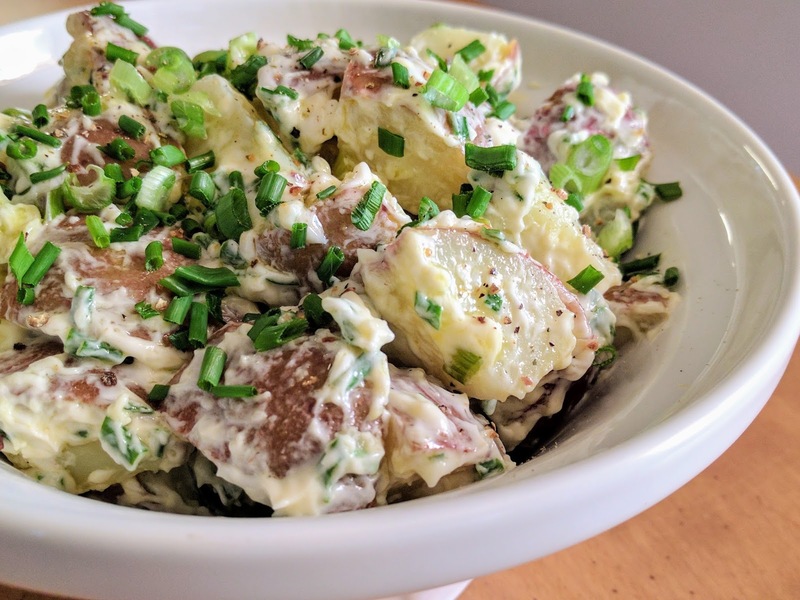 While Potato salad isn't particularly exciting or adventurous, it is one of my favorite foods and I love to tinker with it, trying new variations of dressings, etc. With this salad, I've tossed the hot potatoes with a mixture of oil, vinegar, and mustard -- the potatoes absorb the mixture as it cools and, I feel, the becomes much more flavorful this way. If you are part of the no-mayonnaise-in-my-potato-salad brigade, you could easily omit the mayo ... although you would be missing out on the marvelous combination that is potato and mayonnaise and I would judge you. 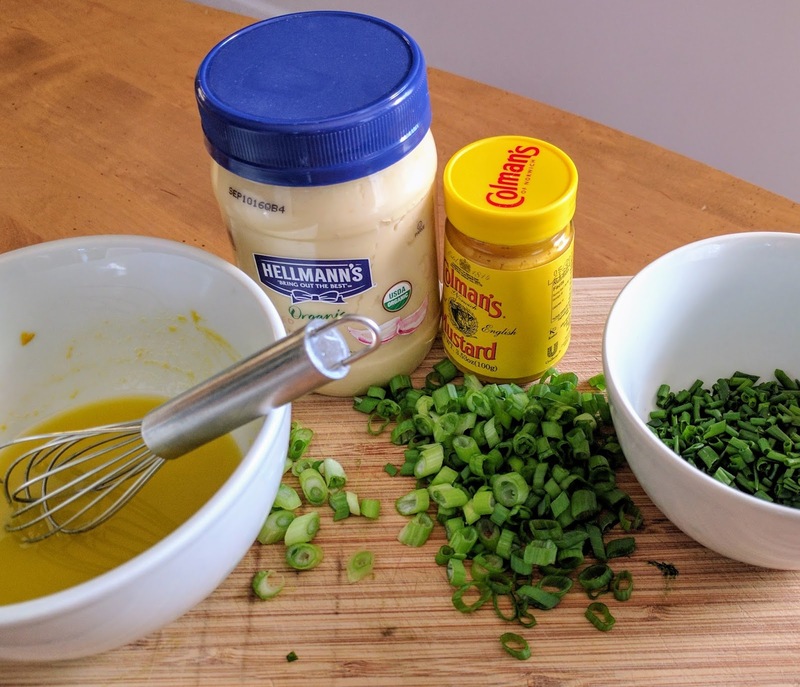 I used ready-made garlic mayonnaise in this recipe, but you could make your own by combining crushed garlic or garlic paste with mayonnaise until it tasted garlicky enough for you. Yes, the mayonnaise was expired. Yes, I took it back to the shopped for an unexpired one. Cook the potatoes in boiling water for about 10 minutes or until easily pierced with a knife. While potatoes cook, chop all the white and light green parts of the scallions and set aside. Whisk the oil, vinegar, and mustard together and set aside. Drain the potatoes. While the potatoes are still hot and steamy, gently toss them with the mustard mixture and the scallions. Allow to cool to room temperature. Gently fold in the mayonaisse and chives. Chill the salad until ready to serve. When ready to serve, season with salt and pepper and, if desired, garnish with additional chives and scallions. Mmm ... potatoes! One of nature's perfect foods. Princess Anya's wicked stepstepfather, the Duke, is a powerful sorcerer set on ruling the tiny kingdom of Trallonia ... and that means finding a way to be rid of obstacles like Anya and her distractible older sister, Morven. It also means turning any of the Princesses likely allies -- like Morven's suitors -- into frogs. Anya's simple promise to turn recently frogged Denholm back into a prince -- Morven isn't in love with him anymore and isn't going to kiss a frog, regardless -- quickly evolves into an epic Quest. Anya will collect the ingredients for a Transmogrification Reversal Lip Balm, save her sister (and herself) from the Duke's machinations, right ancient wrongs, and maybe-sorta make the world a better place. 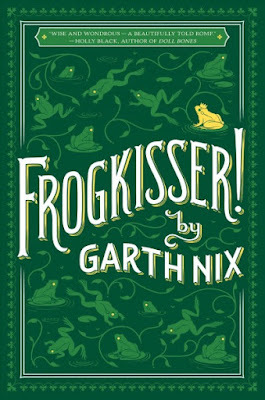 Frogkisser! 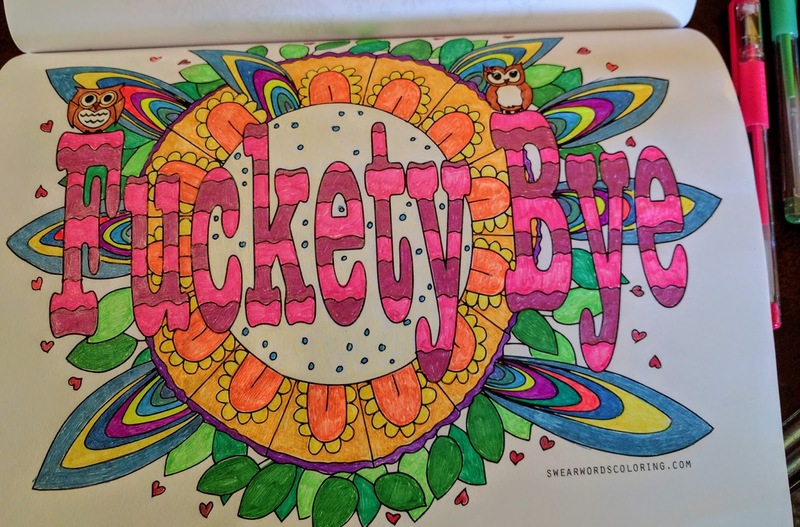 is a delightful read that manages to be both irreverent and meaningful at the same time. Many classic fairytale tropes are subverted, nonwhite female characters are integral, and Anya slowly grows into a thoroughly satisfying hero. If you like Diana Wynne Jones or Terry Pratchett, I think you'll enjoy Frogkisser! To celebrate recently changing jobs (still a librarian, but now happier and better paid) and salute the coworkers (now friends) who have put up with me for ten years, I threw a party. 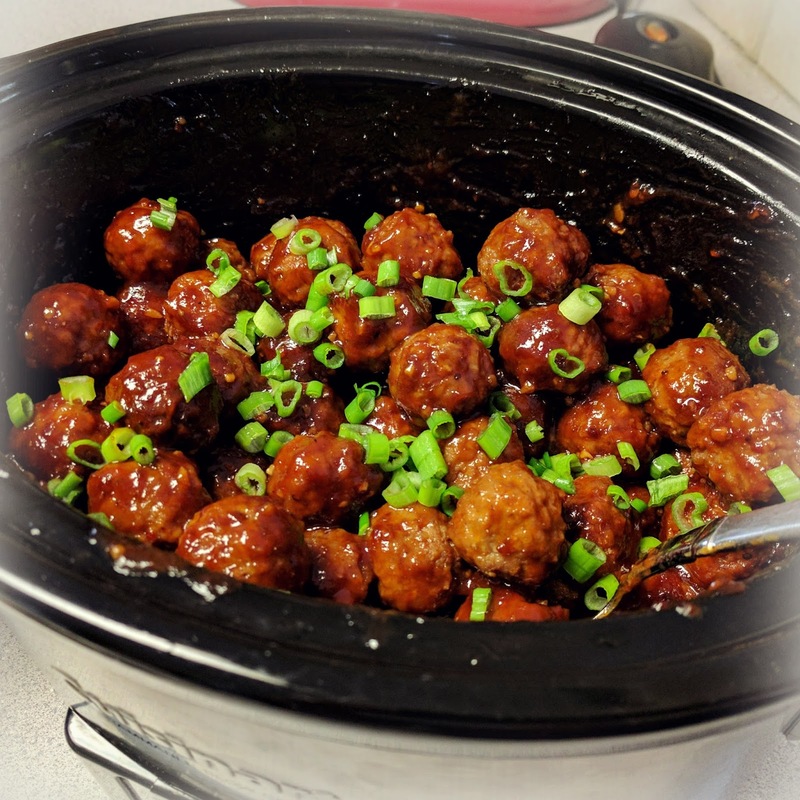 And what's a goodbye party without slow cooker meatballs? 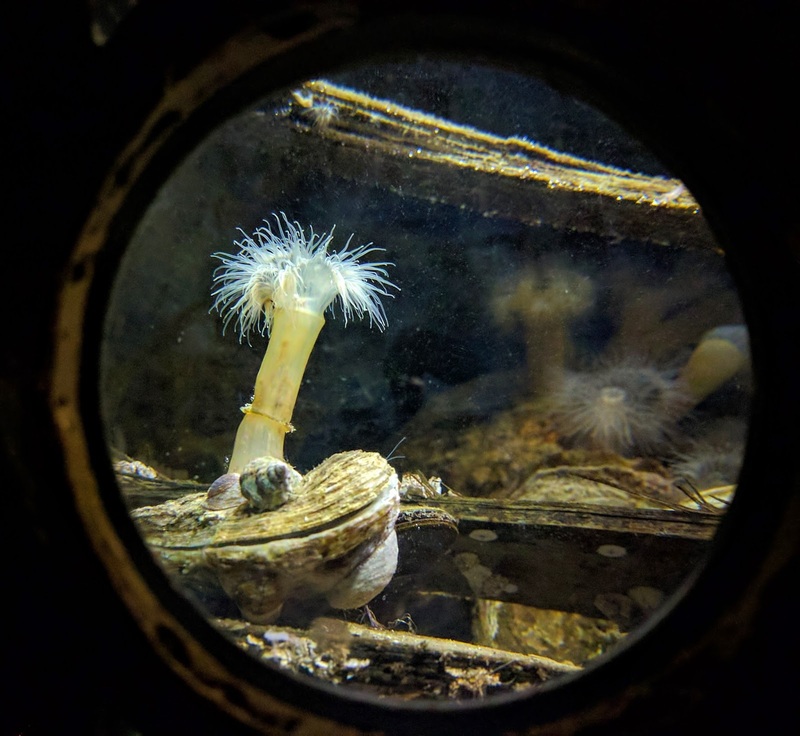 I wouldn't know ... I made meatballs. These bite-size balls of sweet, fiery savoriness are based on MyRecipes' "Chipotle-Barbecue Meatballs." I used more adobo than the original recipe called for and less barbecue sauce and preserves, because I was concerned the meatballs would be too sweet, otherwise. I also added garlic and garnished the finished dish with chopped scallions, because every savory dish needs alliums! These meatballs are definitely spicy! And it's a sneaky heat, too. Pop one in your mouth and you'll be thinking "Nice texture. A little sweet. Ohh, garlic" chewchewchew and then there's a bloom of heat at the back of your throat that is surprising, but not painful. And you'll try another to see if it has the safe effect. And another. Or, at least, that's what my guests did! I'm really glad I made two bags, because there wasn't much leftover. 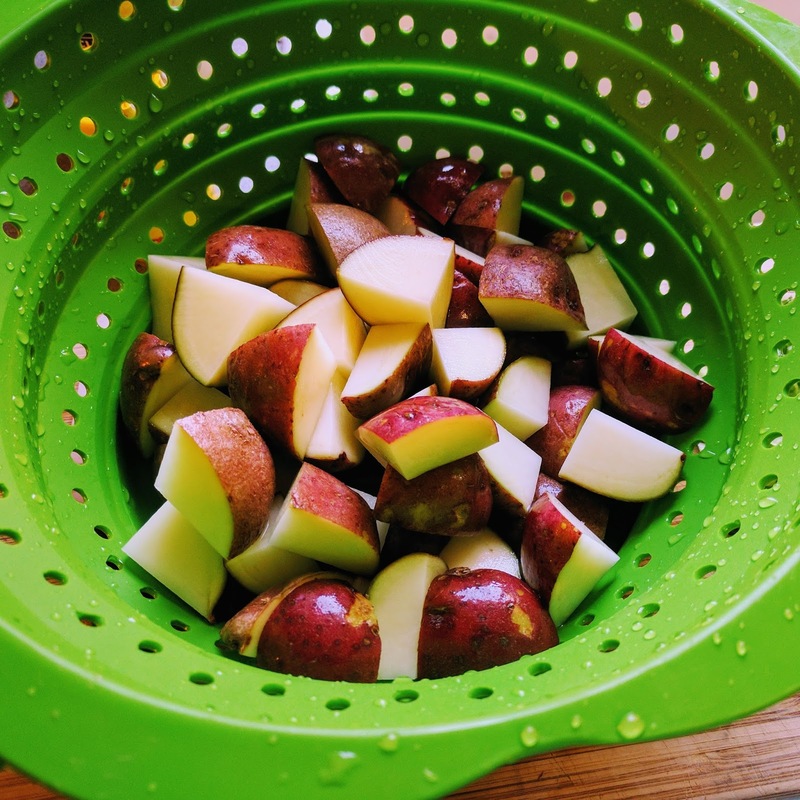 Brush slow cooker insert with olive oil or spritz with cooking spray. Add meatballs to bottom of insert. Combine barbecue sauce, chipotle peppers, and adobo in the bowl of a small food processor or blender and process until smooth. Add garlic to sauce, pour over meatballs. Cover and cok on Low for 6 hrs, stirring twice. Set to Warm and serve when desired straight from the pot, sprinkled with sliced scallions. The sauce will thicken as it sits, so give it a stir every once in a while to redistribute it through the pot. 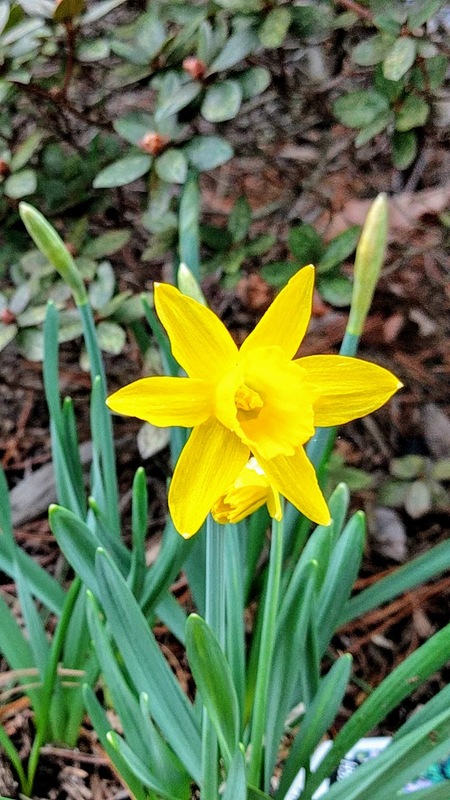 The weather may have turned bitterly cold and windy, but there are tiny irises blooming in my back garden and my whole being sings out for spring. Thus, an unseasonable fruit salad is born! The melon and strawberries are actually leftover from a party tray ... after three days, the melon was just on the edge of overripeness and the strawberries, a bit watery and blah to begin with, were now decidedly meh. Combine them with lime, mint, and a little agave, and suddenly they're splendid! Hooray! No wasted fruit and I can cuddle up under my fleecy blanket with a big bowl of this and pretend it is spring. 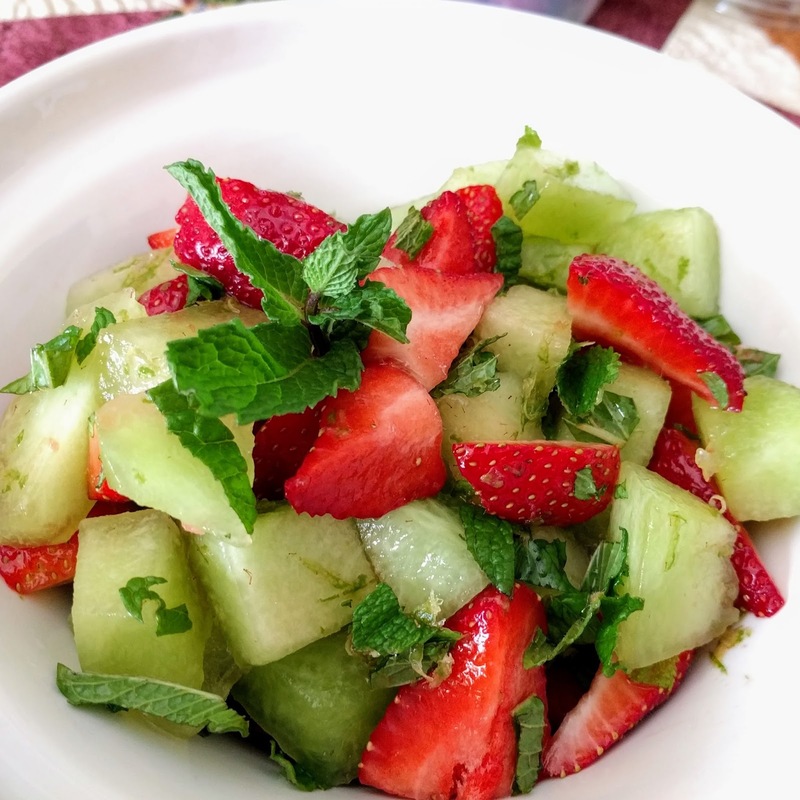 Add strawberries, melon, mint to a medium serving bowl. In a small bowl, whisk together lime juice, zest, and agave. Pour lime mixture over fruit and gently toss to combine. 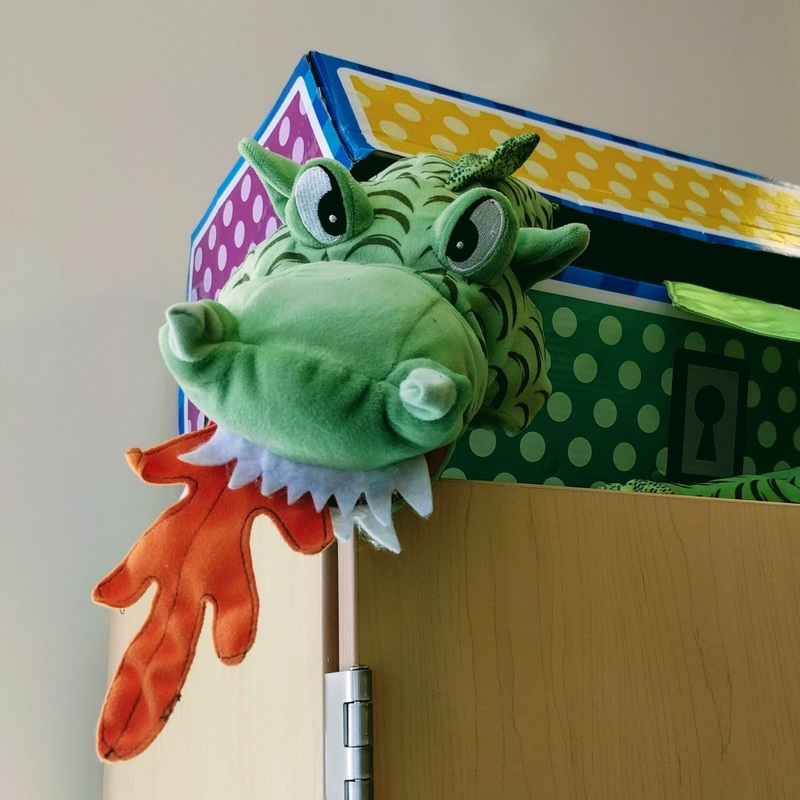 It's my last week at my current job. Hooray. The winter Taste of Home Taste The Seasons subscription box it arrived just before Christmas, but I didn't have time to deal with it so it went into the hall closet and there it stayed until ... mid-February, when I realized I'd better get a crack on before spring arrived! Overall, I am very pleased with the contents of the winter box. Aside from the ubiquitous metal cookie cutters, everything in this box is very appealing and interesting. I've needed a proper ladle for yonks (a gravy spoon is not an effective substitute), but have been too lazy/cheap to shop for one. The slotted spoon is also, unsurprisingly, a nice improvement over the silicone one I picked up for a dollar at Big Lots. Booth spoons have a nice heft and are quite sturdy, the "good grips" handle is actually a good size for my wee, girlish hands, and the bowls of the spoons are large enough to scoop up a proper portion. I was a little worried the holes in the slotted spoon would be too big for foods like peas and corn, but that has not been the case. (However, I do think the tiny "spring" peas will slip right through the holes and, obviously, you can't use the slotted spoon with orzo or rice). The Taste of Home Kitchen Companion magazine and Soups cookbook are delightful. So many delicious and surprising recipes in each! Yes, there can be a preponderance of dairy, but we're talking about cold weather comfort food, after all. I was really taken with the recipe for "Rainbow Hash" -- coconut oil, sweet and purple potatoes, carrots, kale/spinach, and garlic -- and have made it twice now (once with kale and a purple potato and once with spinach and two sweet potatoes). The color is beautiful (even without the purple potato) and the hash is just bursting with flavor. Pair it with soft poached or runny fried eggs for a healthy, filling breakfast. Interestingly, the Soups cookbook is not just soups, but includes many recipes for sandwiches and breads to pair with the soups. I love soup and eat it year-round so I expect this cookbook will see a lot of use. 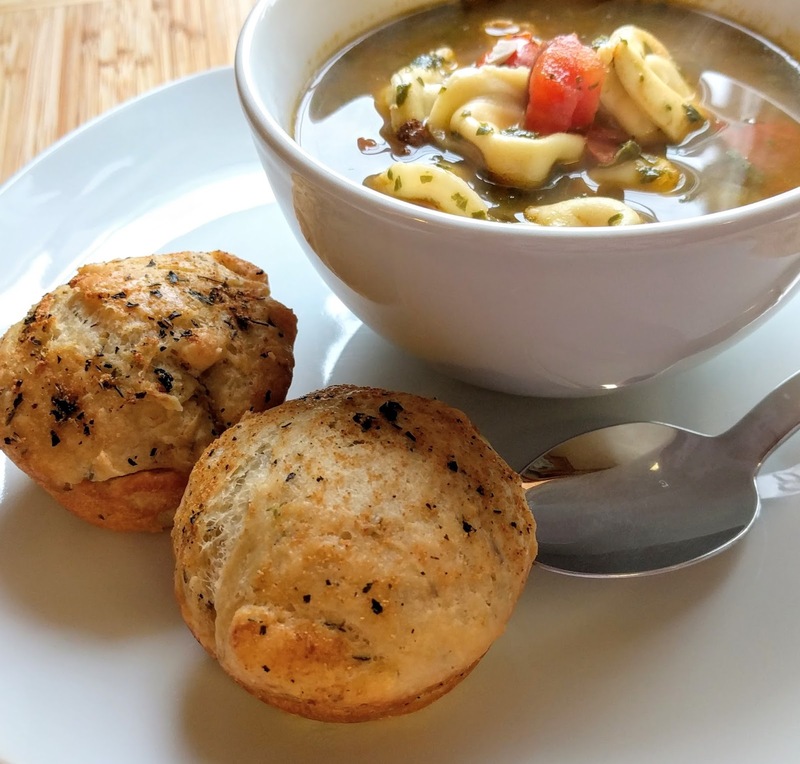 So far, I have made the "Rustic Italian Tortellini Soup" (paired with easy yeasty "Herb Focaccia Rolls" from Taste of Home Kitchen Companion) and the "Southwestern Bean Chowder" (so filling and nutritious). Making the "Herb Focaccia Rolls" allowed me to use some of the yeast that came with the Autumn box! I generally avoid yeast breads and rolls, because yeast fills me with dread, but these rolls were dead easy to make and I am now inclined to try other yeasty recipes. 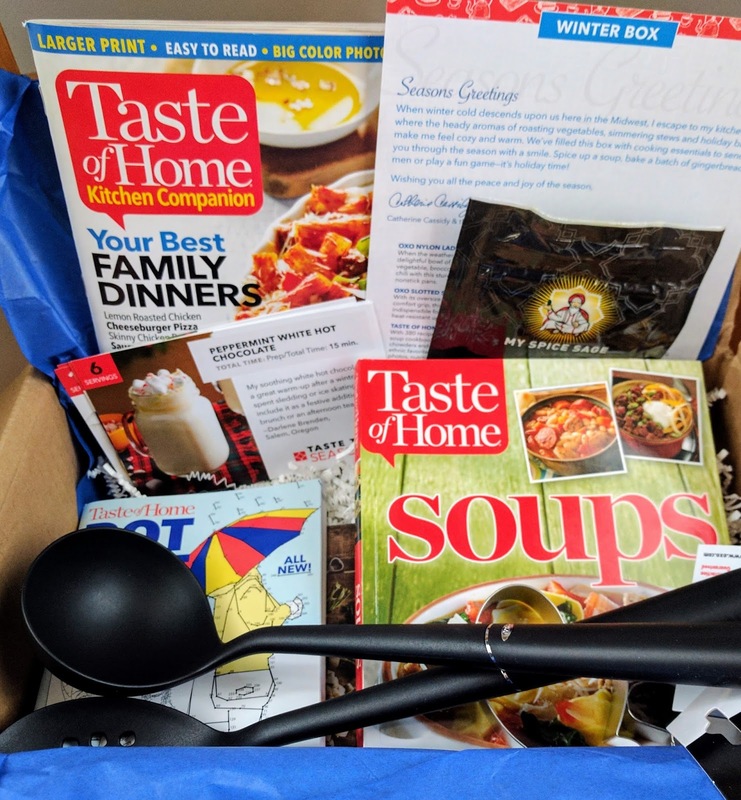 Taste the Seasons is a quarterly seasonal kitchen subscription box curated by Taste of Home featuring themed recipes, kitchen tools and gadgets, ingredients, special coupons/discounts, and free access online cooking classes (which are always awesome). You can buy an individual box for $34.95 or subscribe to the whole year for $29.95 each. Taste of Home values each box at over $80 so it sounds like a good deal either way. Subscription options automatically renew quarterly until cancelled and canceling requires a call to Customer Care. If you have food allergies, you'll want to talk to Customer Care, anyway, before you commit to a box or boxes. My cats frequently have the same expression on their faces.